﻿ Group profile|Xishi Group Development Co., Ltd.
Xishi Stone Group is one of the leading natural stone projects contractor and supplier in China Since 1990 and member of USA Natural Stone Institue Since 2016! 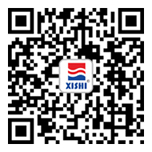 Xishi has passed the Certificate of ISO9001:2015、SO14001:2015、OHSAS18001：2015. Xishi Stone Group is a large joint-stock company engaged in the stone quarrying, processing, design ,Installation, after-sale stervice, Total Solution service provider. We start from small stone factory from 1990 step by step to now big stone group, Our first stone projects is the China Beijing Great hall of the people, We do the G682 Columns(Photo Display the back of 100RMB Bannote),then We enter the stone project business. We have office in Moscow, Dubai,Seoul,Etc. We Export to USA, Russian, UK,Germany,Malaysia,Etc. We Import from Turkey, Iran,Italy,Spain, India,Brazil,Etc. We hope to service your stone projects soon!